Next up on my Fallout: New Vegas adventure, we headed to Primm! This town is where the Courier will have one of their first encounters with the NCR, who inform the Courier that the town has been taken over by Powder Gangers. 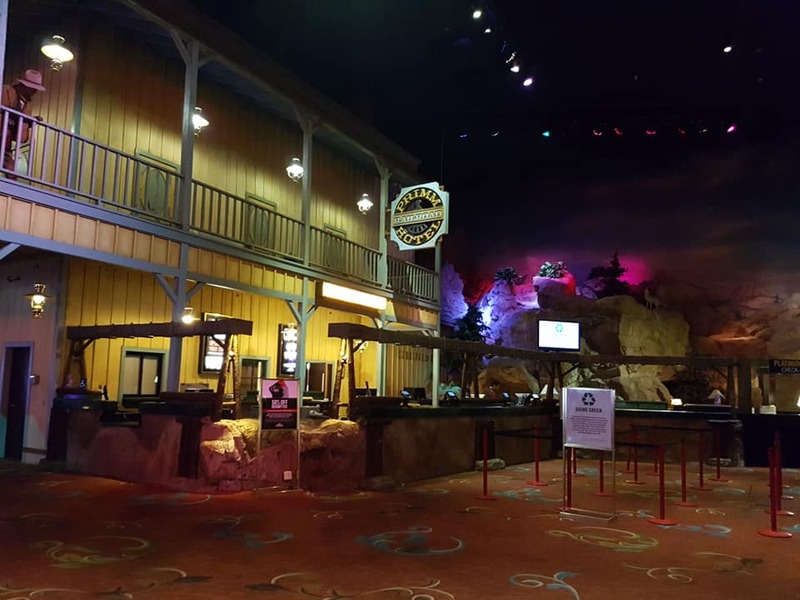 Pick through the landmines to gain entry and the dominating site of the town is the Bison Steve Hotel, featuring a roller-coaster which runs through the building. 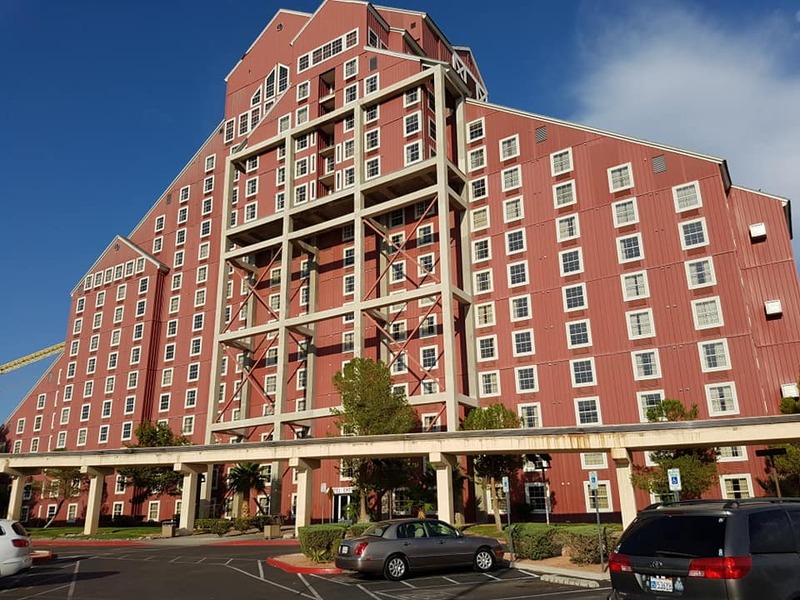 In the real-world Primm, this is Buffalo Bill’s Resort & Casino. Which, of course, features a built-in rollercoaster. Now my friends had been here before, and knew about the rollercoaster. They told me it was really really fast, and quite painful to ride. 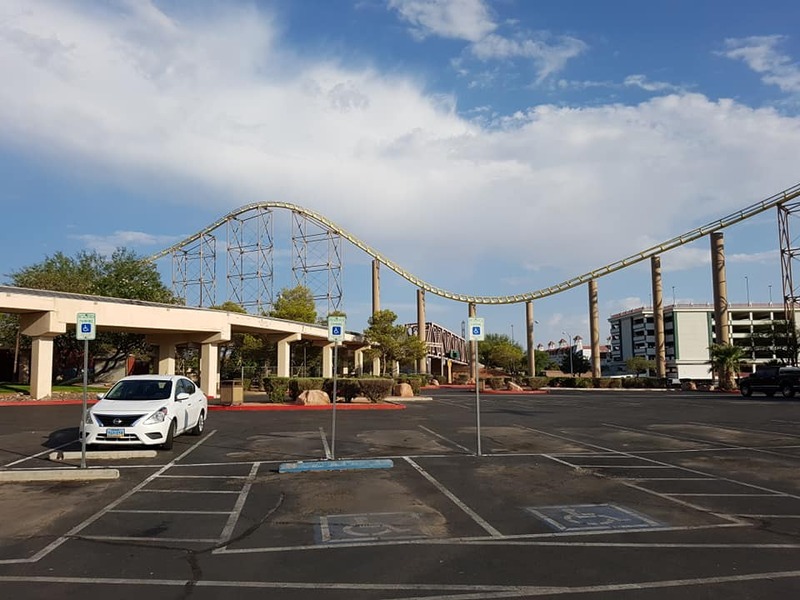 This rollercoaster, called the Desperado, reaches speeds of up to 90mph, and riders will experience up to 4g. I’m not really one for rollercoasters, but I felt like I had to ride it- it’s iconic! Honestly, I wish I’d listened to my friends. Two of us went on, one opted to wait it out (he had the right idea). It was the roughest rollercoaster I’ve ever been on, juddery as all hell and whipping you back and forth faster than Willow Smith. Afterwards we both had quite a bit of pain in our necks, and a feeling like it needed to click but never quite could. This lasted me an entire damn week. In retrospect, I suspect we had some mild whiplash. My message to anyone recreating this trip: kids, don’t ride the rollercoaster. I know it’s cool, but that thing HURTS. The inside of the hotel was had usual fare for the area, i.e. the wild west plus many casino games. Interestingly, there’s a mock up house inside the casino which wouldn’t have looked out of place in New Vegas. 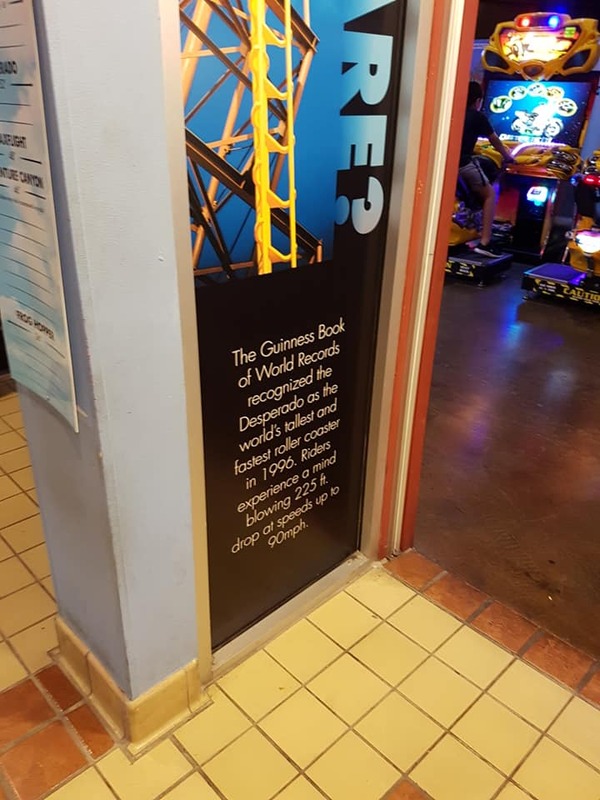 Next to it is a log flume ride, which is not present in the game (and was shut for refurbishments during our visit). We didn’t spend too much time in Primm, because our necks hurt and we wanted to sit down some more (we actually called it a day after this). 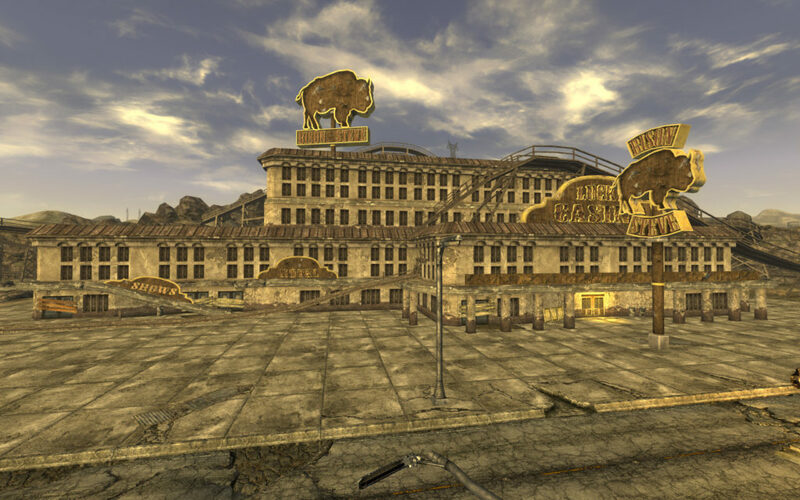 Although we didn’t visit it, another Fallout New Vegas location present in the town is the Vikki and Vance Casino, or rather the real-world Whiskey Pete’s Casino. 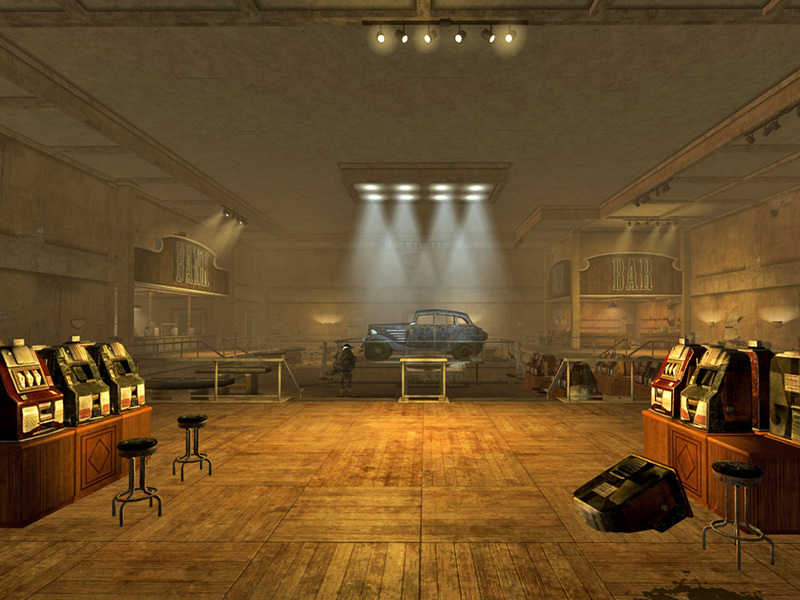 In game, the casino features the car where infamous outlaws Vikki and Vance met their end. In Whiskey Pete’s Casino is the car that Bonnie and Clyde were shot in. I plan to go back and take photos next time I’m in Las Vegas! The in game Primm doesn’t feature any other buildings of note which have parallels in the real world. The post office does not look like the Mojave Express office, and I assume does not feature a lovable robotic companion who just needs a little TLC.